A capricorn man isn’t hard to figure out or very mysterious. He has two goals in his mind: how to reach the top of his career (or some other highly sought after goal) and finding the perfect woman for a long term and deep relationship. Capricorns are extremely dedicated and prefer to stick to their roots, not taking other’s opinions easily. They need a woman they can take care of for a lifetime, a gal who is willing to deal with his stubborn and ernest personality. But don’t let his hard-working mindset sway you from dating a Capricorn. These sweet men are pleasurers in the bedroom without needing any fancy footwork and will work endlessly to ensure his woman is happy- when it comes to the overall relationship, finances, home life, and more. Calm, cool and collected Capricorns most often make loyal lovers, as they have the discipline and control to stop themselves from cheating - even if strongly tempted. But Caps do demand respect and admiration from their partners, and this Goat will wander off if you don’t do your best to let them know how amazing they are. The good news? 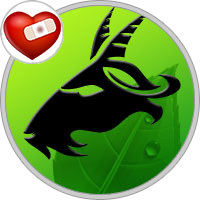 Capricorn is honorable, so they’re more likely to outright leave a relationship than cheat. Wait, that is good news, right? Is Capricorn Man Cheating on You? It is believed that people who were born under the sign of Capricorn are distant partners. But in reality this is their defense. It is an attempt to compensate for their innate, desperate need for love and affection and to camouflage their fear that they will not find their other half. So you can see the importance of the family and the togetherness for those insecure people. Capricorn is strict, conservative and vindictive. If you cheat, he will seperate you for sure. He is stable and reliable and he would hardly cheat on you, he prefers to oppress and to avoid it and if he cannot manage, he will keep this relationship secret. He maybe uses a new relationship to end his marriage. He looks for passion and he does not keep the relation-obligation. He never becomes the third person in a relationship because it has no prospects and development. He difficulty gets drifted but if this happens, he loses control and it is very difficult for him! It will not last long, he puts his logic and he take decisions. He prefers parallel relations rather than the fleeting adventures. If he finds a woman with better economic status, social status and appearance, he will make relationship. He is considered as suspicious if he stops working and starts to groom himself. He can cheat organized and you will not understand it. He seeks romance and passion in an extramarital affair. If he finds it, it will break up his long-term relationship with the understanding that his social status and professional prestige will not blow up in the air! Once you get with a Capricorn, you will discover a very good husband. He is one of the most successful husbands and he has large stocks emotions and sexual energy, like he had kept these powers for you. Make sure that you are consistent in all family obligations and your fellow man he will never cheat on you! Make no mistake about it. If you think that many of the past men that you’ve dated get cold feet when it comes to time to commit, you should not have the same worry when dealing with Capricorn men. Capricorn men can commit. They don’t have a problem signing on the dotted line and getting off the fence. If you can attract a Capricorn man into your life then then chances of you keeping him are actually pretty good. The problem with Capricorn men is not that they can’t commit. It’s that oftentimes they commit too early. It’s not unusual for a Capricorn man to get married and then all of sudden Ms. Right shows up. When that happens he is in the crossroad. However, the good news is that most Capricorn men are faithful and loyal enough that they make it a point to make the woman that they married Ms. Right. The good news is that when Ms. or Mr. Right appears after you got married; it’s a sign that something has gone wrong with your marriage and if you fix your marriage, there will be no other Ms. Right or Ms. Wrong. The Capricorn male is a super organized and methodical person that has a detailed map of where he wants to go in life and a clear idea of who will be his companion for this journey. He is more likely to think about putting a ring on your finger when he is happy with the way his career is shaping up and has a decent amount of money in his bank account, than be pressured or forced into marriage and have his grand plans derailed (by an unexpected child). Your Capricorn man needs to be alone and think carefully if there is a beautiful future for you two as a couple, or perhaps, plan his next steps with your needs in mind. Be warned, my friend, he could disappear for weeks and ignore your repeated texts, so you need to have the patience of a midwife waiting for the baby to come out. It would be a huge mistake to hound him down like a sniffer dog as it only goes to show that you are insecure and have little faith in the strength of your relationship. A Capricorn man seems the least likely of any other Sun sign member to delude himself. After all, he is ruled by Saturn, the reality principle. If Cap doesn’t fall in love until he’s made a measured assessment of his partner-to-be, then he’s unlikely to have acted impulsively on the basis of unconscious projections. So, if not disillusionment, what is the source of Capricorn’s heart-retreat? This man may not be as cold and calculating as he is reputed to be, but he nonetheless has his own pragmatic way of making life decisions. We often fall out of love when either we or our lover have changed (or not). A Capricorn man prefers slow and steady growth, so he may be turned off by a partner’s radical deviation from what he’s come to rely upon. Could it be that the withdrawal of his partner’s support — so that he or she can climb their own mountaintop — results in the passing of a cold wind through Cap’s chest? Your Capricorn man might distance himself from you, if he’s romantically attracted to another woman, who has a lot more to offer than you, and contemplating whether or not to dump you. So what are the biggest telltale signs that he is going to break up with you? He has stopped grumbling about or asking you for advice on his problems (no matter how big or small). He invents excuses not to get physically intimate with you. He avoids talking about the future. There is a possibility that Mr Capricorn might be married but pretending he is not, if he keeps popping in and out of your life. He is splitting his time between his wife and you on the side. In this case, I strongly suggest you stop precious wasting time on a man that is fooling around behind his wife’s back. I am sure you have heard that phrase, “if he cheats with you, he will cheat on you”, yes?